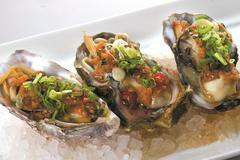 Steamed fresh oysters w/ mushroom & spicy garlic sauce. 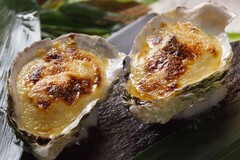 Oven baked fresh oysters w/ special Japanese vinegar, red ginger creamy sauce. 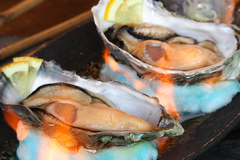 Grilled fresh oysters w/ Japanese sour soya sauce. 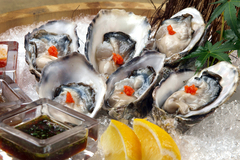 fresh oysters w/ Japanese sour soya sauce.